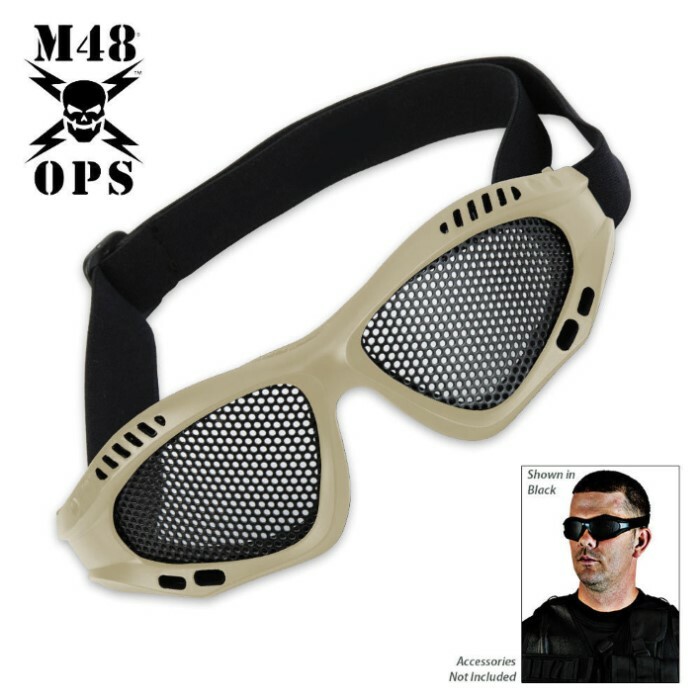 M48 Gear Military Tactical Mesh Goggles Tan | BUDK.com - Knives & Swords At The Lowest Prices! These M48 Gear tan military-style tactical mesh goggles are perfect for hot or humid environments as they allow air to flow through them while still protecting your eyes from foreign objects. The tough ABS frame is comfortable and pliable with foam padding and an adjustable strap for a secure, custom fit. The black mesh wire lenses are sturdy for good protection of your eyes and offer excellent visibility. 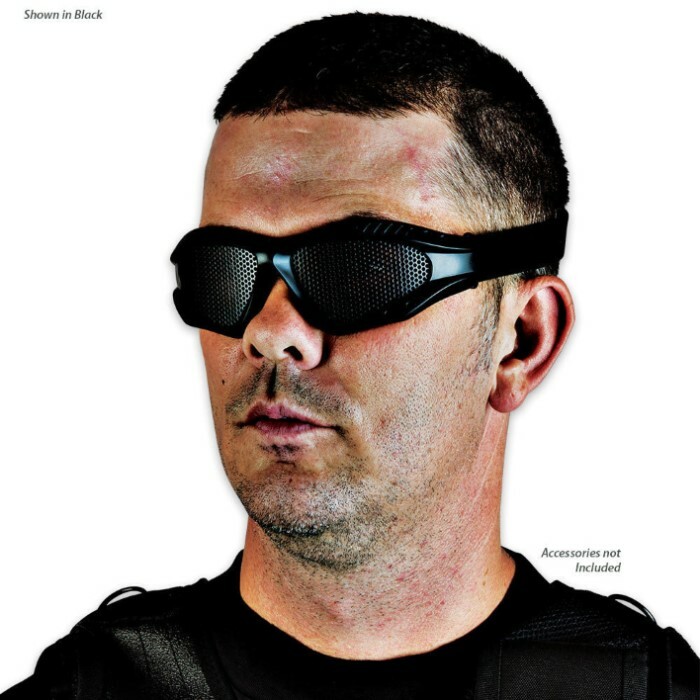 These goggles are also perfect for airsoft practice. I use these for practicing and teaching others self defense techniques and low power strikes that attack the eyes. With these goggles you can still practice in a less/non compliant way to maximize training and reduce risk of injury to the eyes. The lens never fogs up, these are not bulky, last a long time and are cheap. Some individuals with longer eye lashes may find them uncomfortable as they may get snagged or press against the mesh lens. These are great!